Jain Jacob, CPA and founder of Jain Jacob CPA PLLC, has built a solid team of like-minded associates. He formed the company in the early 1990s with the mission of helping clients maintain their current financial viability and achieve future goals. Over the years, he recruited talent who shared his vision and met his high standards for quality, character, and talent. We have several independent CPAs who work with us in highly specialized cases as needed. To cater to the needs of our growing clientele, we have now expanded our network to include CPAs, lawyers, IT and Finance consultants, both in the US and internationally. Though our firm is small, our talent is big! We have the knowledge, experience, and resources to handle virtually any individual or organizational accounting challenge. 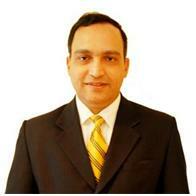 Mr. Jain Jacob is the founder of Jain Jacob CPA PLLC in New City, New York. Mr. Jain Jacob graduated with a Masters in Accounting from MG University in India. In 1991, he became a Certified Public Accountant in the State of New York. Since then, Mr. Jacob has put his in-depth knowledge to work, gaining more than 25 years of tax, accounting and business consulting experience. In 2007, Mr. Jacob founded Jain Jacob CPA PLCC, a one-stop shop for all tax, accounting and business needs. Prior to founding Jain Jacob CPA, Mr. Jacob worked as a Senior Tax Manager at Deloitte and Touché LLP where he served Fortune 500 companies, non-profit organizations, and high net worth individuals from around the world. In addition, Mr. Jacob also served as a Senior Tax Auditor for the New York City Tax Department and as a Consultant in a mid-sized CPA firm, exposing him to a wide spectrum of industries, clients and business challenges. Apart from his professional pursuits, Mr. Jacob is actively involved in several not for profit organizations. He currently serves on the executive committee for the New York Society of CPA’s Personal Financial Planning committee, and is a Board Member of the Rockland County CPA Society, Rockland County Rent Regulatory Board, Ramapo Catskills Library System and Good Samaritan Hospital Foundation of the Westchester Medical Center Health Network. He is also a member of the America Institute of CPAs, and the trustee of the Syro Malabar Catholic Church at Wesley Hills, New York. In the past, he has also held the office of the Treasurer and other key positions for certain election candidates and filed their financial disclosures. Part of our extended network of financial experts, Stanley E. Ginsberg, MS, CPA, provides Jain Jacob CPA PLLC with advisory services as needed. With 40 years of public accounting experience focused on taxation, Mr. Ginsberg is one of our most trusted resources. Serving multiple industries as varied as real estate, construction, manufacturing, wholesale distribution, non-profit, and professional services, he has represented businesses, high net worth individuals, and offshore clients with US business interests. In addition to his work in accounting and taxation, Mr. Ginsberg is active in the continuing education community. He has conducted numerous continuing education seminars over the years. He has also shared his knowledge with his peers by lecturing for the American Institute of CPAs, the New York State Society Foundation for Accounting Education, Texas Bar Association, and Practicing Law Institute. Ms. Anju Jose is a manager at Jain Jacob CPA PLLC. She specializes in international taxation, financial data analysis, and developing customized financial strategies and templates for companies. She also provides legal research and compliance services. Ms. Jose earned her Master of Science in Finance from Simon Business School, University of Rochester in 2014 and her Bachelor of Commerce degree from University of Mumbai, Narsee Monjee College of Commerce and Economics, India in 2008. She is also a Chartered Accountant in India and a CPA (pending licensure). Her expertise in both Indian and US taxation is a unique blend which helps us cater to the needs of the Indian American community at large. Prior to joining Jain Jacob CPA, Ms. Jose served as a financial analyst at Columbia University, New York. In addition, she also worked for Ernst & Young, India, where her services involved researching and analyzing bilateral international treaties, tax planning, tax return preparation, and representation before various Indian tax authorities. Her clients included Fortune 500 companies, high net worth individuals and expatriates from around the world. With expertise in both Indian and US taxation and strong research skills, Ms. Jose is adept at matching clients with successful financial strategies in compliance with any applicable taxation requirements — domestically and internationally. Ms. Jose is also an Associate Member of the Institute of Charted Accountants of India. Fahriye Elif Ceceli is a manager at Jain Jacob CPA PLLC. Ms. Ceceli brings a wealth of experience in financial research and analysis, general accounting, senior management reporting, project management, and business unit support. Ms. Ceceli has been working in the accounting field since graduating from Marmara University, Faculty of Economy and Business Administration, in Istanbul, Turkey in 1995. In the past, she has worked as accountant, tax specialist, accounts receivable and credit manager, accounting manager, and senior accountant for various companies in New Jersey, Pennsylvania, and New York. Over the years, she has provided the full range of accounting services to clients across multiple industries, consulted with international shareholders on US business and taxation principles, prepared annual federal and state corporation tax returns, paychecks, and payroll returns, and more.